Just when you thought you were safe from being run over by "Tex", here comes "Trouble". Gennusa is well-known for his paintings of horses and cattle running and stirring up clouds of dust. 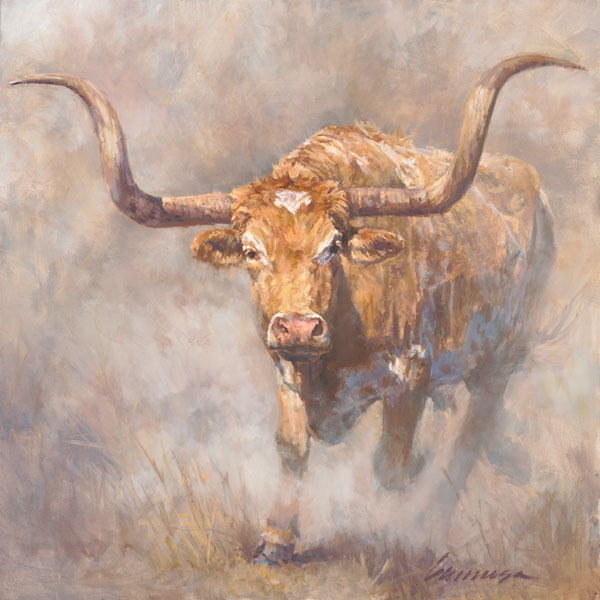 This wild, charging longhorn steer is on a rampage, emerging from the boiling dust and looking for "Trouble".